They say that fortune favours the brave. 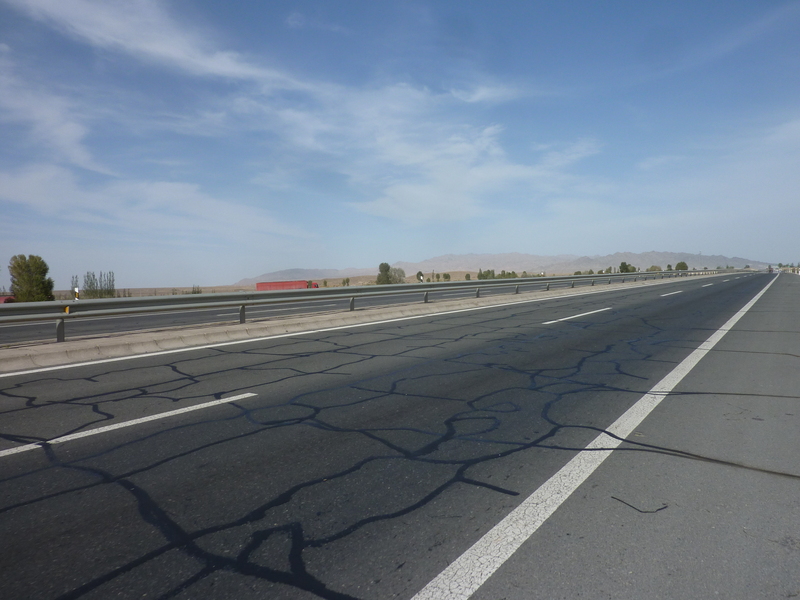 Clearly my recent endeavours have been lacking in valour, because conditions upon leaving Turpan could hardly have been less favourable. Setting out into a dusty haze, I began a fruitless struggle against the 40-degree heat, constant incline and relentless headwind. 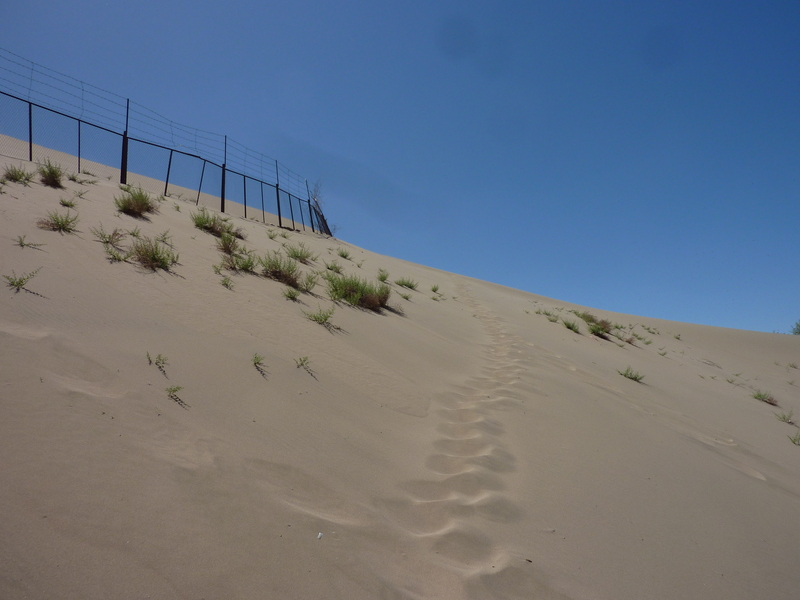 As if to rub salt in the wound, the shadeless road was hemmed in by a never-ending barbed wire fence, which made camping – or even stopping to rest – a challenge. Unsurprisingly, after 50 pain-filled kilometres, I gave it up as a lost cause. 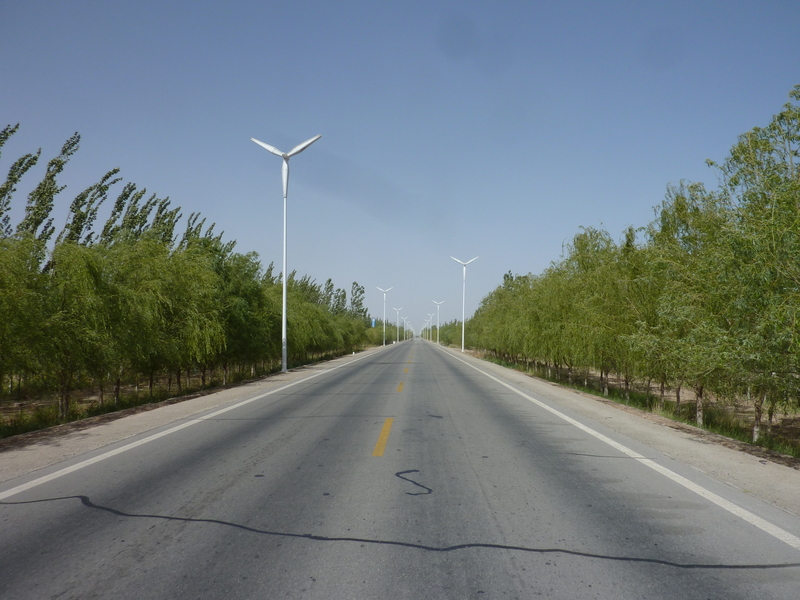 Returning to Turpan, I took the easy way out and hopped on a overnight bus to Dunhuang, thus saving myself 800 kilometres of doubtlessly unpleasant cycling. Sitting more than a thousand metres above Turpan, Dunhuang quickly provided a welcome escape from the oppressive desert heat. However, it was not simply the cooler climes of this pleasant oasis town that had attracted me. 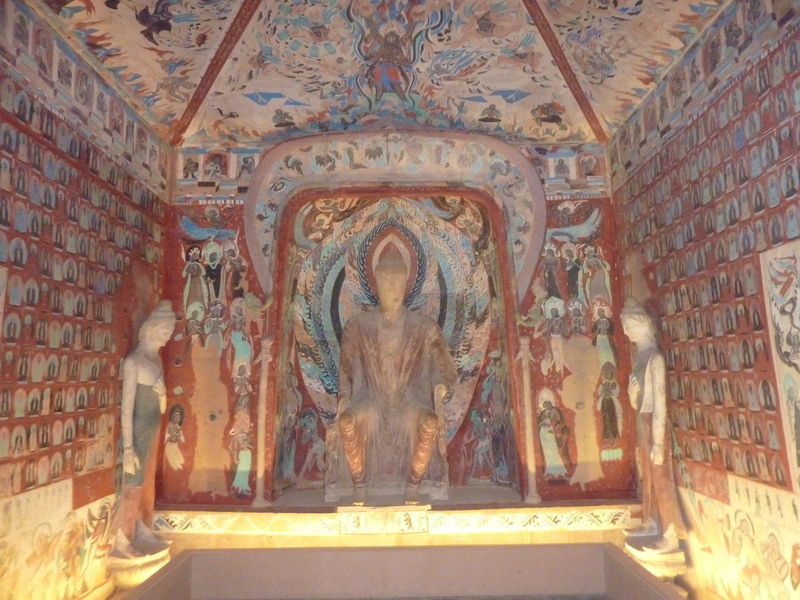 Another important stopping point on the ancient Silk Road, Dunhuang is renowned for the exquisite Buddhist artwork that adorns the interiors of the nearby Mogao Grottoes. Housing a unique collection of Buddhist art that spans a period of almost a thousand years, these caves are now heavily protected. Beautifully adorned with images of Buddha, the surviving caves (many were destroyed by an earthquake) are decorated with frescoes and statues in Tibetan, Indian and Chinese styles. Unfortunately, such is the delicate nature of the lead-based paint used that photographs are strictly prohibited. 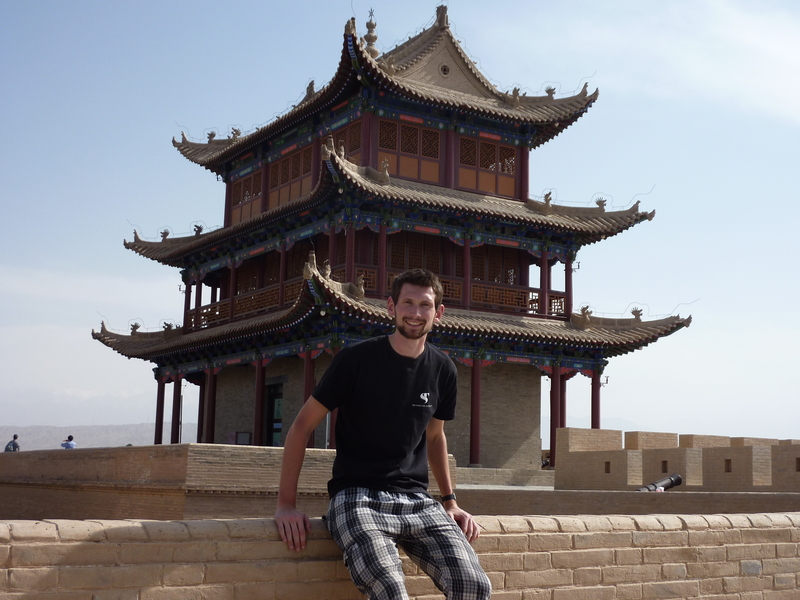 From Dunhuang, I continued east, towards the Great Wall of China. But first this meant traversing another vast tranche of desert landscape. Unsurprisingly, this failed to arouse much excitement in me. The procurement of a better map opened up the possibility of a more mountainous, but hopefully more scenic route. However, after a morning’s ride devoid of habitation and with the landscape seeming unlikely to change greatly, my fears of not being able to procure water kept me unwillingly bound to the main road. Luckily, with this failed materialisation of my scenic detour came fresh inspiration. A strong tailwind was propelling me along and my legs felt eager to burn up the miles, so I decided that the time was ripe to finally break through that ever-so-elusive 200-kilometre mark. And I didn’t just break it, I completely destroyed it. 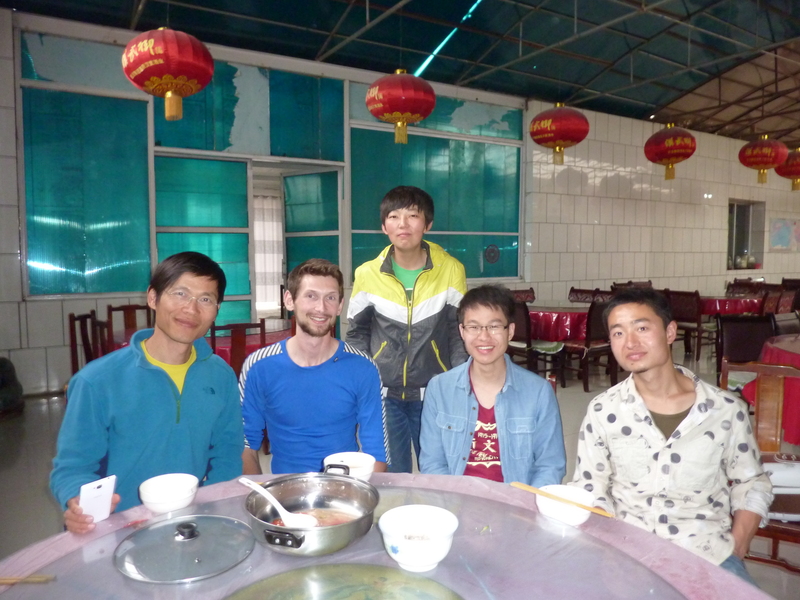 When I rolled into the quiet town of Yumen at 10.30 pm, my odometer read 256 kilometres. Incredibly, despite gaining altitude, I had somehow sped along at an average of 26.2 km/h. Of course, my legs protested vigorously the next day, but battling through the aches and pains, I finally crossed the Great Wall of China as dusk fell. 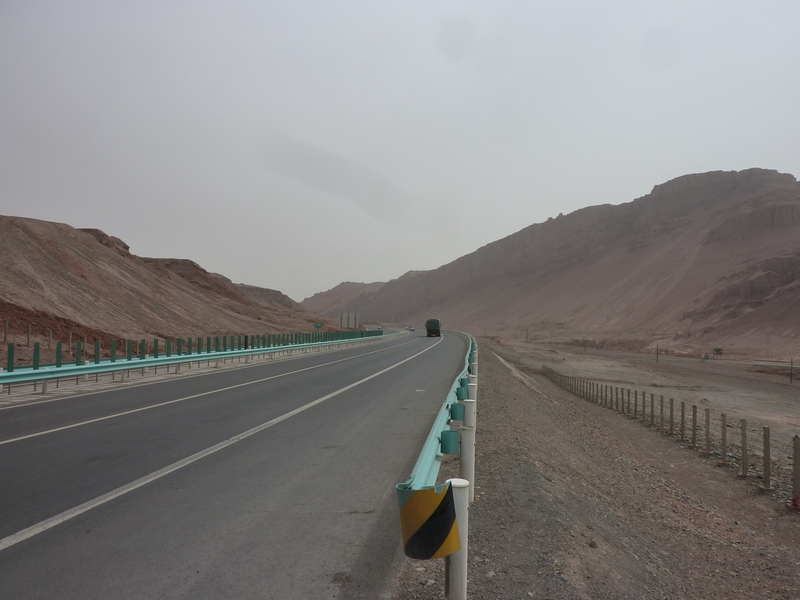 I had reached the famous Jiayu Pass, two days ahead of schedule. Representing the western extent of the Great Wall, the Jiayu Pass is known as the ‘Mouth of China’. It was here that traitors were sent out of the fort’s imposing gates; exiled into the barren wilderness beyond. Now home to the modern city of Jiayuguan, the pass is littered with remnants of the Great Wall, in various states of disrepair/restoration. 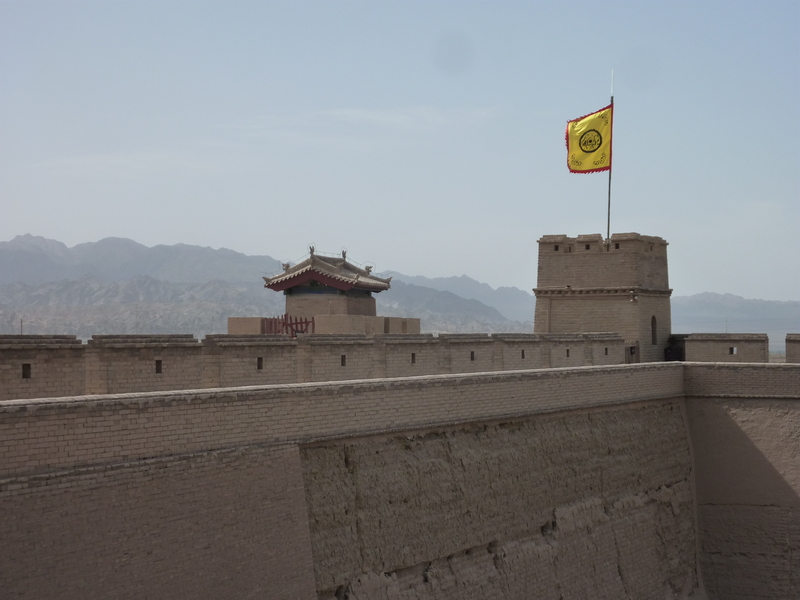 The gargantuan Jiayu Fort still dominates this wide pass and, although heavily restored, is an impressive sight. Cycling beneath its gaze and through the crumbling remains of the Great Wall felt strangely auspicious, as if I were in fact crossing into civilisation once more. Of course, this may well have been delirium brought on by cycling 385 kilometres in less than 36 hours. 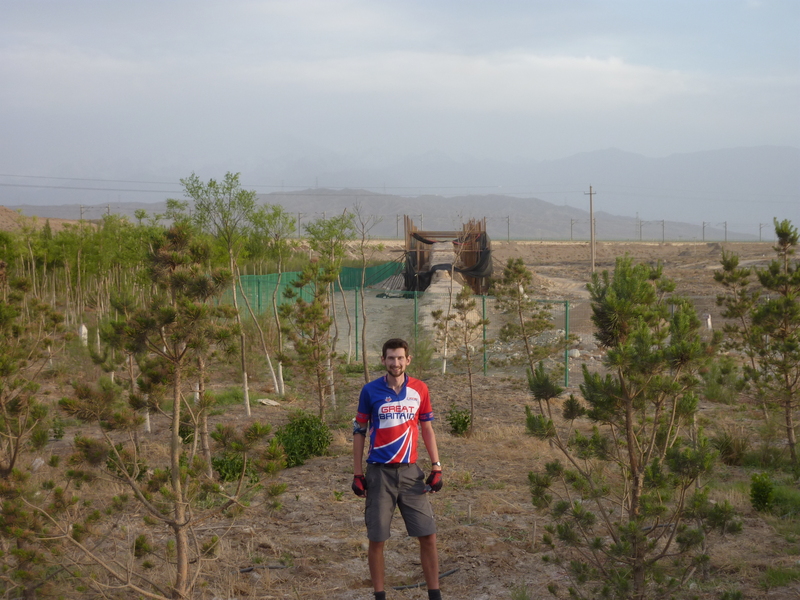 Brilliant – you will ready for a 300k Audax when you get back! Pictures are very reminiscent of our trip from Lhasa to Everest basecamp but in a Landcruiser! And it was cold as we did it in April. Keep writing and rolling. Just met an Australian couple who did that base camp trip a week ago. 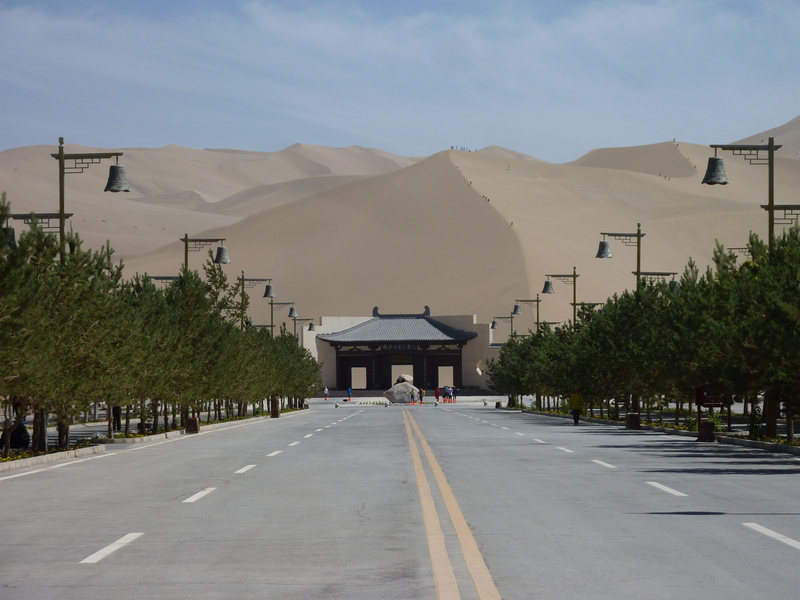 They said that they had never realised how desert-like the Tibetan plateau is, but still enjoyed it. 加油 mr gardiner! it means ;keep going’ or literally ‘add oil’- you might hear it on your travels! Actually, the sight of me renders most Chinese people speechless, so I don’t think I ever heard that expression. One guy did stroke my leg hairs though. He didn’t say much, but he seemed to be enjoying himself.